A view of the three Paps of Jura from just south east of Loch an t-Siob. From left to right they are Beinn a’Chaolais (733m), Beinn an Oir (785m) and Beinn Shiantaidh (757m). On the right the stepping stones across the Corran River with the path leading on to the Paps. 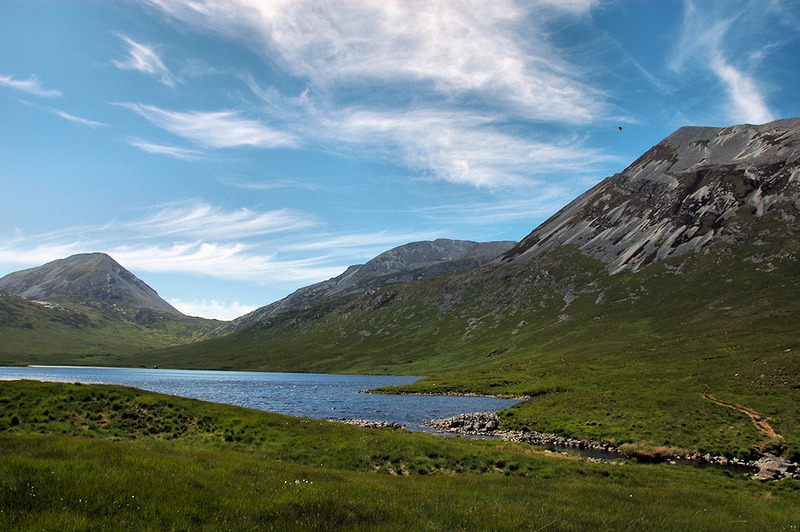 This entry was posted in Freshwater Loch, Jura Excursion, Landscape, Repost, Sunny Weather and tagged Beinn a'Chaolais, Beinn an Oir, Beinn Shiantaidh, Jura, Loch an t-Siob, Paps of Jura by Armin Grewe. Bookmark the permalink.